I mean, I get the opportunity to learn first-hand from leading personalities in their respected fields. How to create and test Messenger bot experiences, from Fetch & Funnel. Why personalized experiences via Messenger Bots is the future of eCommerce brands, from Arri Baggah. Everything about Messenger bot giveaways, milestones, and design, from Hunter McKinley. 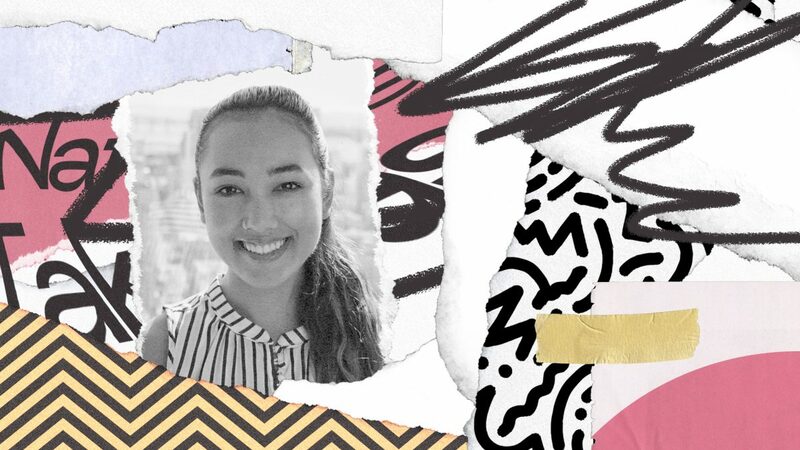 This time I had the amazing opportunity to talk to Natasha Takashi about the culture of Messenger bots, and how she (and her partners) shape the field of personalized marketing with Messenger Bots. Who is Natasha Takahashi, and what she’s up to at the moment? I'm running two companies in the chatbot conversational marketing space. In early 2016 my co-founder Kyle Wilson and I, started our Chatbot agency- Ineffable Marketing, with the intention to test out this new technology and see if it was a viable marketing channel for companies to find new untapped revenue as well as automate customer support. These were the pillars that we wanted to test. Moving forward from there, we did a lot of different case studies. We built a lot of chatbots for free, as well as for pretty low prices to see if this was worth it and the results were insane; they were mind-blowing. There are so many great case studies from Enterprise to local business. And so from there, we skills our agency would now served over a hundred clients and at this time as well about a year ago, we started a company called School of Bots and our goal is to help marketers and entrepreneurs learn how to use messenger marketing for their clients or their business. 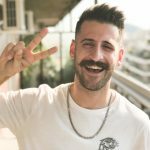 Our mission is to grow the largest community of these people who are either totally new to the space or are doing awesome things in want to see what other people are doing as well so that they can level up their game. Our goal at this time is running these two companies doing the groundwork obviously continuing to build chatbots. We're actually going to start working with Matthew Hasey in a couple of other companies, so we're constantly signing on new clients, and then we're also continuing to scale our community, as well as our programs and our consulting and everything on the school of bots side. As School of Bots, we've tried to delve into a couple of different ways to deliver value and education to our audience, and so one of those ways has been that we’ve done 36 episodes of our podcast called “There's a bot for that”. It started as a video podcast, and then we realized that we could transition into audio because people would listen to the entire 35 shows on YouTube. YouTube is not always the best place to listen to audio, and so from there, we decided to turn into a podcast. At the time our podcast is available on YouTube, Spotify, iTunes, Stitcher, as well as inside of our Facebook group since we typically do it on Facebook live. At the time I jumped into bots, they were totally new and they sparked my interest. My co-founder, Kyle, and I were thinking of starting a Facebook ads / social media management agency. So we were going to be in the Facebook marketing realms, and then chatbots came out right around the time that we were thinking of starting our agency. That's why we decided to start testing them and see if they were viable, and I also had a couple of friends in Silicon Valley who were like: “this is the next big thing”. I found that really interesting, and it made sense because I'm part of Gen Z; we want things instantly, and also want to be able to chat with people 24/7, at our convenience and not have to deal with a ton of terrible customer support. We want things delivered via marketing more easily, or if we wanted a lead Magnet or a guide, we don't love following the traditional sales funnel and going through that as a consumer anymore. Because of that, I got really interested (in bots) and we tested a couple of different Bots. We got results and realized that we could scale that. We're like: “well, let's see what happens” because no one else really knows what's going to happen. That's why we decided to go all in on it. We're young. We'd figure out something if it didn’t work. It actually turned out to be incredible, and at the time there weren't really many thought leaders or people who are sharing the results and best practices and experiences, in the space. By the end of 2017, we had done quite a bit of chatbot workaround, and so we decided to start School of Bots to share all of that expertise, but also to highlight other people who maybe hadn't built a platform for themselves but were doing amazing things for big Enterprise companies. Arri Bagah is one of those people. He has done fantastic things for e-commerce companies with Bots. We wanted to feature those people, highlight them, and obviously drive traffic to them in order to help them get clients as well. This space is new and there are only a few key resources that you can find online, that are up-to-date giving you valuable content, and we wanted to be the main one that people go to. How brands should integrate bots into their marketing strategy. Customer Support is one of the biggest things, but I would say that that's really scratching the surface. Everything that you can do with Facebook ads, email marketing, landing pages, or any sort of funnel can be translated into bot-friendly content and put into a chatbot. Building that experience is a bigger win-win situation for the consumer and the business. On the consumer side, you're able to get so many things delivered in a digestible and exciting interactive convenient format. And then from the business side, you're able to track all of this. 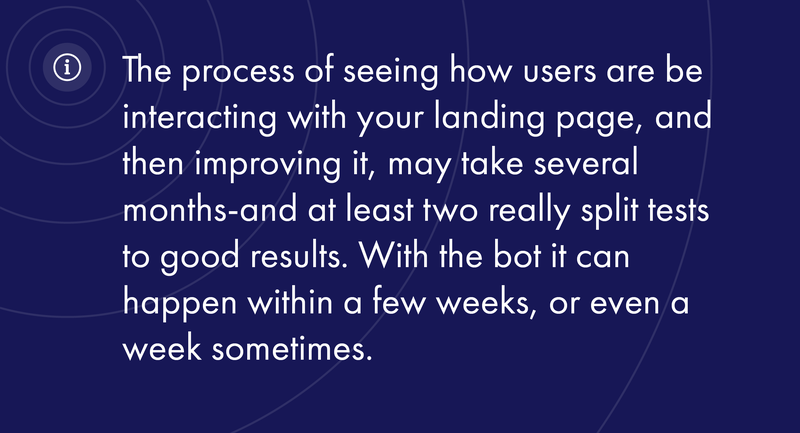 The really powerful thing is that, for example, just the difference between using a Facebook ad to send someone to a landing page and send someone to a chatbot. With the landing page, you lose a percentage of those people who click on your landing page. The only way you can recapture those people is to do a retargeting Facebook ad. Whereas with a chatbot you can actually send them to the Bots and then capture them immediately as soon as they interact with anything inside of the bots. They just need to reply or click on a button and then if they don't reply, then you can send them a follow-up message later on as well. From there, you can continue to track the conversation, see where people are dropping off, and ultimately continue to optimize the experience. The process of seeing how users are be interacting with your landing page, and then improving it, may take several months and at least two really split tests to good results. With the bot, it can happen within a few weeks, or even a week sometimes. That's really the magic of it; you can track everything and at the same time get more qualified leads. Well weed themselves out over time and then you'll also be able to see and get like real-life data from people, see how they're interacting with the conversation. Operations just mean repetitive tasks such as customer support, logistics, or anything that you need to figure out internally, or with your customers. From there you can decide on the use cases that you would want to implement, see which bucket they fall under, and then decide on a timeline to implement that right and start slow. Start with one use case, and then build from there. That’s what I would recommend always. Chatbot flows that every eCommerce should use. Our favorite flow is to bring people in from a Facebook ad, just because most e-commerce stores are running Facebook ads. You could also use this tactic with a ref URL, which means that you would send people to your chatbot URL. You could use a scan code. There are a couple of other ways that you can opt people in. Comments are also great, although I will say that the comments work best for giveaways. 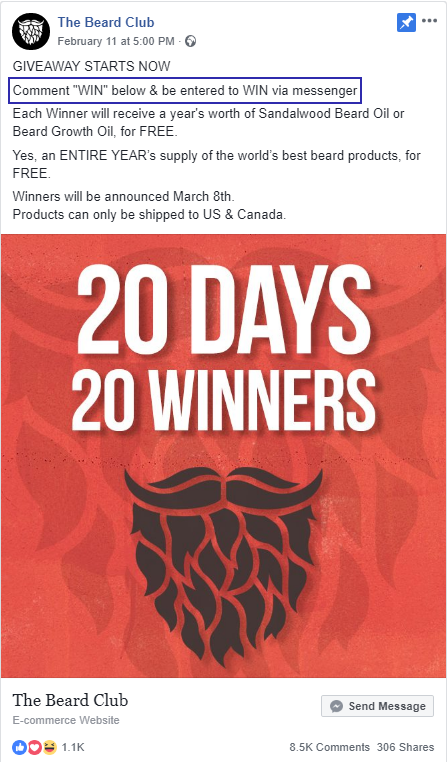 Did you see Beard Club’s campaign? That was awesome. They were doing that with their comments but I will be honest and say that the “click to messenger” ads the- ones where you click on the button, usually perform better for almost any type of ad except for a giveaway. This happens because, for giveaways, people are commenting, sharing with Friends, tagging them and all of that stuff; but for most regular Facebook ads people aren't necessarily doing all of that, and so the “click to messenger” perform better. Whatever opt-in point we choose to get people into the chatbot, what we do is to follow the six-step process. So this is actually something that I just stared at the Traffic & Conversion Summit and Social Media Marketing World, just in these last two months. I'll say that this applies really really well to e-commerce. And so essentially what the six-step formula is, is that as soon as someone comes into your chatbot you are giving them some sort of value. That can be either a lead magnet, a guide, or something like that. Whatever your best performing freebie is. From there you can offer a promise of value, which could be something like a challenge or a mini-course; something that's going to be dripped over a certain period of time. Usually, three to five days work really well. What you're trying to do, is to create a kind of experience that will bring them in and make the whole process seem a bit more smooth for the user. That's really the goal anytime. We bring someone into the chatbot and give them some sort of educational value. So they learn something new, or they develop a new skill. After something like that everybody's like “oh I walked away with something”. They will be more invested in your company because they’ve spent maybe three to five days with you on this mini-challenge, and then they are going to buy something from you; which is really your end goal. The best Messenger marketing experiences ever built. I’d say one of the best ones that I've seen is from Sierra Club. They are a non-profit, but their chatbot has gotten insane results, with donations coming as well as advocacy because they focus on having people advocate for nature essentially and conservation of nature overall. One of the cool things that they tend to do is anytime that there's a really big petition they want people to sign- or a big cause that they want people to donate towards, they'll create an experience inside of the bot that's kind of like a virtual experience where it's a tour walking you through some of the amazing things that happen at this conservation, or at this certain piece of nature. They'll kind of put together for you, images, videos, and give you audio. This is a full-blown experience, and it's usually like five to ten messages long. So you interact and then you get the next piece. It’s like “Now, let's move on to this tree, or this volcano”, depending on where they are. And then at the end, someone who has gone through the entire experience is now pretty excited about this. Obviously, people spent the time to go through it. They watch the videos, and they listen to the audios. Usually, they get really high donation rates at that point. So technically, their conversion rate to a donation is very high compared to email or compared to any other medium they've ever done. That’s because people had such a cool experience walking through this tour. That's something that we apply to a lot of different types of businesses like co-working spaces, amusement parks and even for e-commerce. You could totally walk someone through a journey. Here’s a quick example with one of the e-commerce companies that we work with. They create these blow-up lounges and floaties. For them, it's all about lifestyle and they’re targeting people who love to travel and can use this in a lot of different ways. And so they have their ambassadors (influencers) go out on journeys to Iceland, Mexico, Bali and they'll take the product with them and shoot images, but they do it in a storyline kind of like a chronological way. What we did was to take those blog articles and put them into the bot and in the same way to create this tour experience, except it was a little bit more like “Choose Your Own Adventure”, where it was like, “Alright so over the next three days we're going to do a virtual kind of wake up in a new country every day”. And so, on day one they went to Iceland and then we walk them through each step and then at certain points we were asking: “Do you want to go to this black sand beach, or do you want to go to the mountains?”, and “you want to go do this, you want to go do this?”. In the end, they've seen different photos of the product on the beach, or near a glacier. They've seen all these really cool images of it. At that point they have a better idea of how they could use the product, they are more excited about it, and obviously a little bit more emotionally attached by the end of the three days or even by the end of day one. That, as well, has converted really high for us compared to any other medium e.g. reading just the blog article or reading an email about it. Chatbot platforms? Here’s the top one. At this point (in March of 2019”, our go-to platform is Manychat for sure. They have the most innovative tools as well, and they have positioned the platform for marketers; the founder, Mike does such an amazing job listening to user feedback. He spends a lot of time with his customers and really understands what they need. His goal has always been to position this from the marketing standpoint and that's why I think that they're winning; because marketers are going to their platform and they're also investing time to the two conferences. I just mentioned there are over 6,000 people there; the top marketers in the world almost, and all those people saw Manychat’s name because they sponsored at both conferences. Right off the bat, you see them investing a lot of time and effort, sharing their platform with marketers. 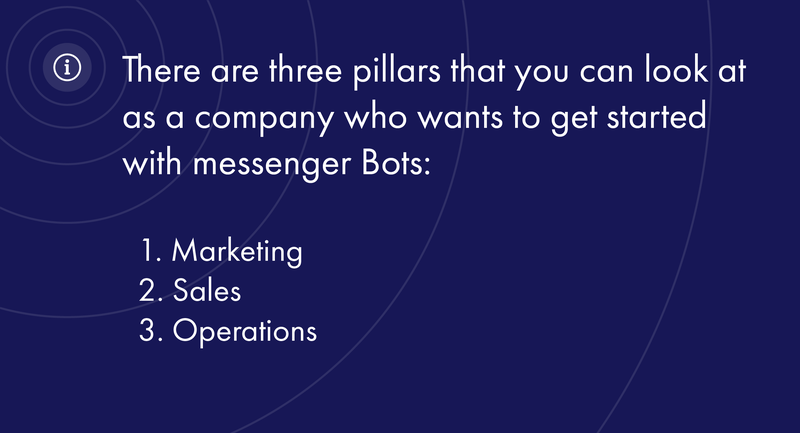 They're doing really really well because they’re pushing the Messenger bot world forward. When they first started obviously their product was really unstable, because obviously, they have to rely on Facebook Messenger and potentially other apps like Zapier. But now I'd say that their platform is really really stable. Obviously, there are outages and things related to Facebook, but in terms of their platform not performing, they've really really improved over the last three years. Messenger marketing metrics that reveal the truth. It depends on your goals overall because obviously there are certain things that we track for every campaign like the generic kind of Open Rate, Click Rate, how many people converted into the next step, etc; but overall it's going to depend on what your goal is. So if your goal is to capture as many emails through the bot as you usually capture on your email opt-in forms, or through Facebook ads, then that's going to be the key metric you want to look at. We also look at how many touch points does it take for someone to convert into a buyer, or into the next step of the funnel. Usually, those touch points will be how many messages they interacted with. It kind of depends per campaign, but that's usually a really important metric we look at because those touch points then turn into a lead score so that we can, at any given point, go into the chatbot and filter by lead score. We use that as a field inside Manychat and see you at what stage certain people are, at and where they came in from, and which opt-in point- which would be a Facebook ad, a scan code, or URL. Also, we measure how many people from each Opt-in point are at the highest lead score, compared to all the other ones. Those are some of the main things that we look at, because obviously, we want to measure the ROI, but we also want to measure the user experience and that's usually going to happen in the engagement rates; how long someone engages, how far they get in certain flows, and how much they progress inside of the chat bot’s content. This is for the people that don’t use bots. Get started ASAP; just connect Manychat to your Facebook page. It's free, and you can turn off any of the bot’s features. What that allows you to do, is start building your list immediately even though you're not doing anything with the chatbot. What I mean by that is that anytime someone sends your Facebook page a message, you're now going to be capturing them on your bot’s list, which is stored inside of Manychat. And then when you're ready- if you are waiting, at least you’ll have a list that you can start with and that you can message immediately because they have been interacting with your page. So that's one thing you can do immediately, just to get that head start and not feel like you're starting from scratch. Another thing you could do would be to take the free starter course on Manychat and chatbots to understand it because the problem with all the other free content available is that it's all very scattered in terms of what you should do to get started. You can learn exactly what you need to do, at least to get started so that you don't mess up and get your bot banned from Messenger. They filmed it about a year and a half ago, so some of the stuff is a little bit outdated, unfortunately, but for the most part like their support is great. If you have any other questions you can always look at the documentation, and then we also have a free course as well that we, instead of saying “here are all the things you can do inside Manychat”, we position it more from the marketing and the agency angle, and then present the Manychat approach. We also go into how you would brainstorm what you want your chatbot to do and then be able to execute on that. It's really just five videos, but that's something really great that people can start out with.